I’ve loved this pic ever since I took it three years ago. To me, it’s full of promise – the warm light glowing from the leaves, and the winding road that says “there’s more to come, even if you can’t see what I have in store for you.” This pic sums up how I’ve felt this weekend. Yesterday I announced that I won’t be publishing any new issues of knotions. It’s a day later and I’m still feeling good about it so I know it was the right decision. 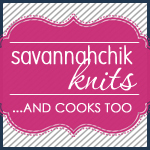 I’m excited to get back to the community – I’ve missed you all so much – and I’m excited to have some time to devote to myself – knitting, sewing, and cooking for me personally, and professional development through my other blog as well. I did a bit of sprucing up of this blog – I designed a new, more colorful header, and I installed LinkWithin to call out three previous blog posts at the end of each post. I’ve been getting a kick out of clicking on old entries and have come across several that I didn’t even really remember. I want to do a little more blogging about cooking and sewing and plan to give that a whirl later today. I love cooking and I’m excited to share and learn from all of you. I need to get the knack of taking pics while cooking so bear with me while I figure that out. Today I thought I’d start with an easy topic – Rhinebeck 09. Each year is a new and different experience at Rhinebeck. The weather was the most challenging of the four that I’ve been to – It was the coldest and wettest I had seen. Surprisingly, the fall foliage was not as vivid. I was curious about why that might be and came across this great article that explains that temperature and rain are the two biggest factors. I’m guessing the abundance of rain we had earlier in the year had a big impact. Oh well, at least I got to wear St Brigid, and the cold made for a lovely evening of knitting by the fireplace and listening to some knitting podcasts. We stayed in and cooked dinner on Friday, so we decided to go out to Flat Iron Steak House in Red Hook on Saturday. What a great call! The server’s wine recommendations were spot-on and our steaks were cooked perfectly. It definitely won’t be the last time we go there. I was pretty selective this year in my purchases – unlike my activity in previous years. Trekking 187 for a pair of socks. 2 hanks of Creatively Dyed Calypso in Navalis (purple/pink/blue) and Parade (red/orange) for a Baktus. Every year I say that I think I can finish all this up before the next festival (Maryland in May) but this year I think it’s true 😉 I’ve already cast on for Baktus. Those are some big hanks though – 510 yards each- so I know I won’t use it all up for Baktus. 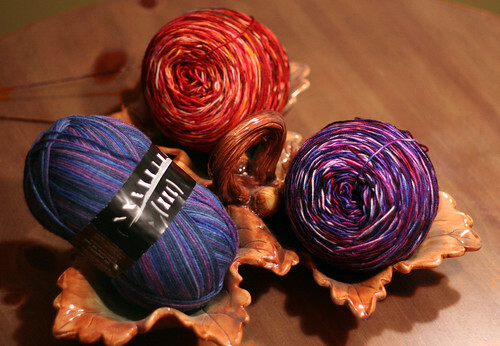 My quandary – if I finish the project I purchased the yarn for, does that count as “finishing” the yarn, or do I need to use it all up to clear my conscience? i saw you guys from afar once on Saturday! St. Brigid is still gorgeous. 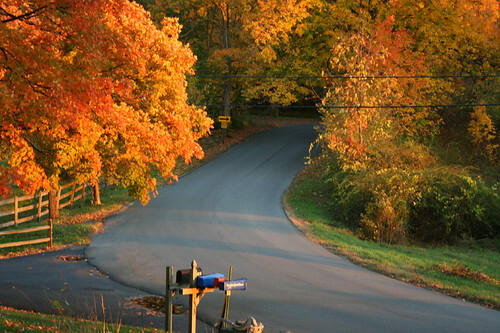 some of m favorite photos are from Rhinebeck ’07 – i feel like that was the year of the really good foliage. congrats on a good run with Knotions and best wishes for whatever is next. I’m glad that you’re happy with your decision, and I’m happy to see you back in the blogging world again. I think that if you use the yarn for the intended projects, it totally counts as “finishing” the yarn, even if you have leftovers. Perhaps this is why I have a largish bag of leftover yarn? like the others, i’m happy that you’re feeling good about your decision re: notions. you need to do what’s best for you. and i echo: so happy to see you back in the blogging world! Lovely photo. Fall is so great with the leaves and cooling weather! Gorgeous photo! So perfect for this post and your decision about Knotions. It makes me sad, but at the same time I’m sure you are making the right decision. Have fun making Baktus! It’s fun to make and even more fun to wear. It was great to see you and Christy. I am sorry to read about Knotions but understand. I’m sorry about knotions, I can only imagine how much time and resources you invested in it. I am glad, though, that we’ll see more of you on the blog. Welcome back. Though I was saddened to hear the news about Knotions, I’m really looking forward to reading more about your adventures on your blog! 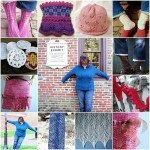 Welcome back to personal knit blogging. Finished making a skein of handspun yarn yesterday and considered blogging it. We’ll see. Will email you later. Hugs and love to you! It sounds like you made the right decision about knotions. 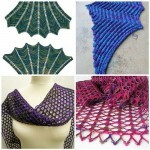 Looking forward to reading your blog again And it totally counts if you finish the project intended for the yarn. Still bummed I missed seeing you! But I’m glad you had a fun time! I was good too and only bought three skeins of yarn and one roving. I hope to have it all knit up by MD too! !